We have all seen the abundant molehills in fields and on grass verges as we travel locally, especially around Christchurch and Hurn, but what exactly is going on underneath that can cause so much damage to lawns, golf courses, agriculture, playing fields, parks, cemeteries, etc? 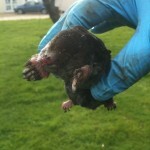 The culprit is of course the Mole. A furry creature, up to 16cm long and normally black in colour, although white albino ones are seen occasionally. 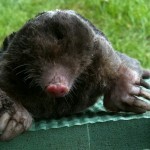 They have large spade like- front feet for digging and have very small eyes but no ears. They are found throughout mainland Britain but not in Ireland. Moles are normally solitary in nature and live underground in tunnels which can be at various levels and may cover an area up to 1000sq.m. They are capable of creating up to 20 metres of tunnels a day! The food source is mainly earthworms, but they will also eat other insects and larvae that fall into their tunnels. They breed once a year and the young leave the nest after 5 weeks after which they take up their tunnelling duties which can be up to 6 years, providing they do not fall victim to predators such as foxes, badgers, raptors and of course man. The damage caused by moles varies, in agriculture they can be responsible for the inclusion of soil in grass silage which leads to it being unpalatable and spoilt. On public grass areas such as sport fields, the tunnelling results in an uneven surface and the deterioration of the turf. Another side effect can be stones which are displaced from molehills when mowing. They have been known to disturb underground security devices in sensitive areas and also disrupt archaeological sites by their constant tunnelling. In gardens the lawns can suffer, becoming uneven, requiring expensive rolling and re-seeding and flower borders and vegetable areas can see plants dying because of root damage. 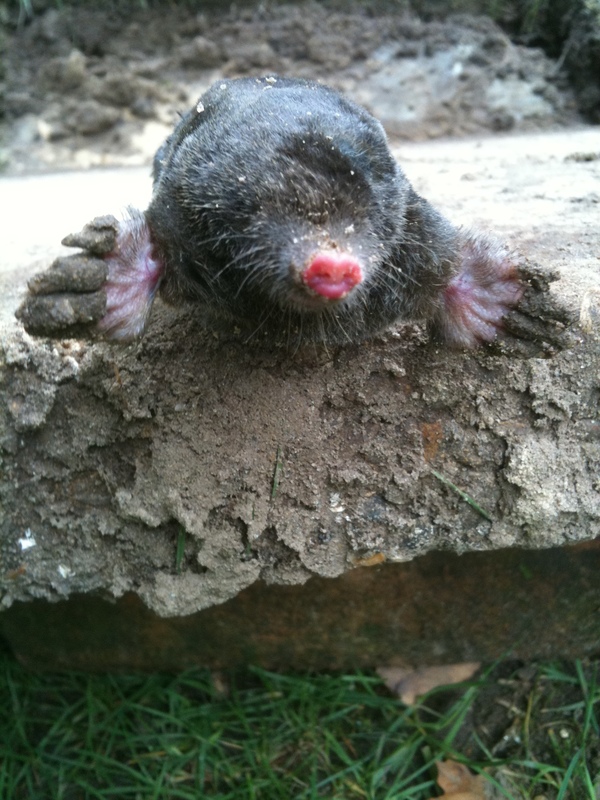 A nice rich, lush lawn can be totally spoilt by unsightly piles of soil, the result of a mole tunnelling underneath. 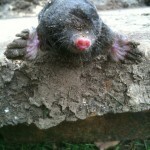 Poly tunnels are not immune and I have even seen a mole tunnel into a greenhouse because of a soil floor! 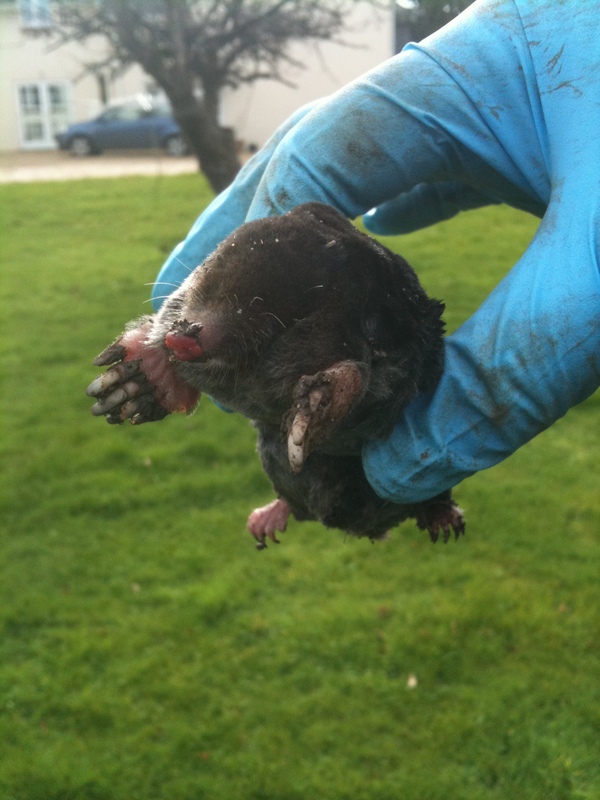 The strangest location I have seen a mole was in a garden in Winton which was totally surrounded by housing and roads, could it have been brought in within a load of topsoil? 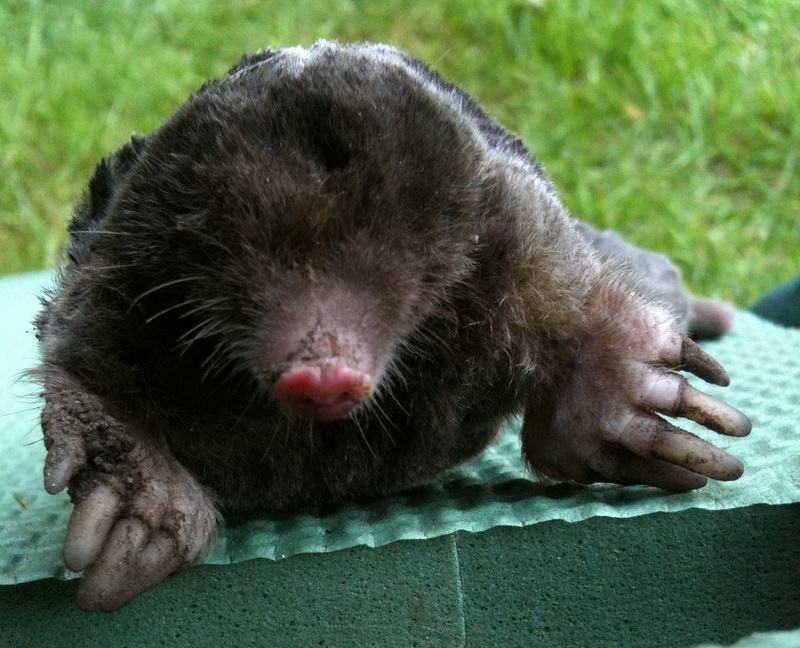 One other side effect is that old mole tunnels can be used by rodents for harbourage and it is not uncommon for rats and mice to use them to gain access to otherwise open areas as they provide perfect cover. A favourite is under bird feeders, where if the tunnel is close enough, a rat can pop in and out at leisure, minimising the risk of exposure to predators as seen at premises in Three Legged Cross, Corfe Mullen, Northbourne and Bransgore. Various electronic repellent devices are on the market and I see quite a few at many sites I have worked at. There are also “traditional remedies” like burying bottles in the ground up to their necks (wind vibration is said to repel moles), small children’s whirly windmills and even putting prickly foliage into the molehills.